Make sure the wonton wrappers are thawed. RINSE the celery stalks and chop them into rough pieces. PEEL the ginger root and chop about 3 cm into rough pieces for the broth and finely grate about 2 cm for the filling. PEEL the onion and garlic cloves, finely grate half of it and the other half can be chopped coarsely. COMBINE the grated onion, garlic and ginger in the medium-sized bowl. 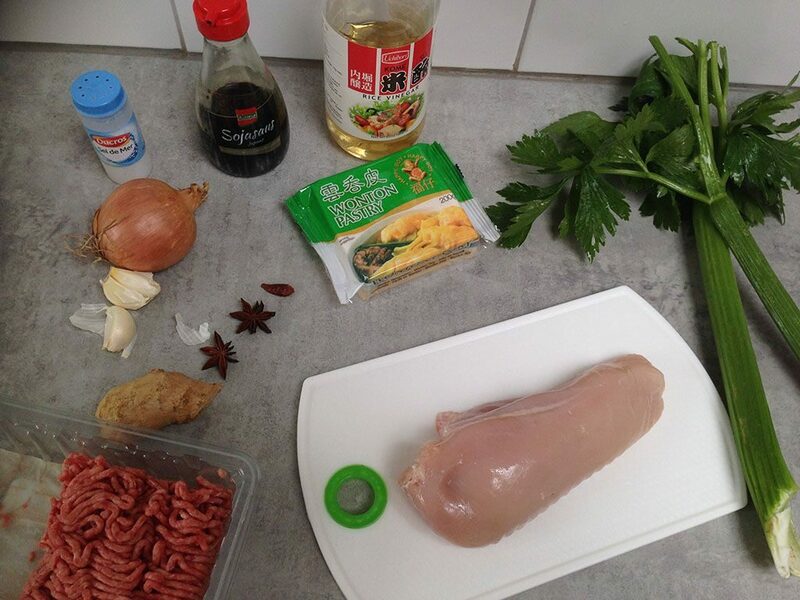 Optionally DIVIDE the chicken breast in half. HEAT a medium-sized pan on medium heat and sauté the roughly chopped onion, garlic, ginger and celery stalks. After a few minutes you can also add the chicken, star anise and chili pepper. POUR in the water, put the lid on and bring to a boil. As soon as it starts to boil, turn down the heat and let it simmer so all the flavors can get absorbed. 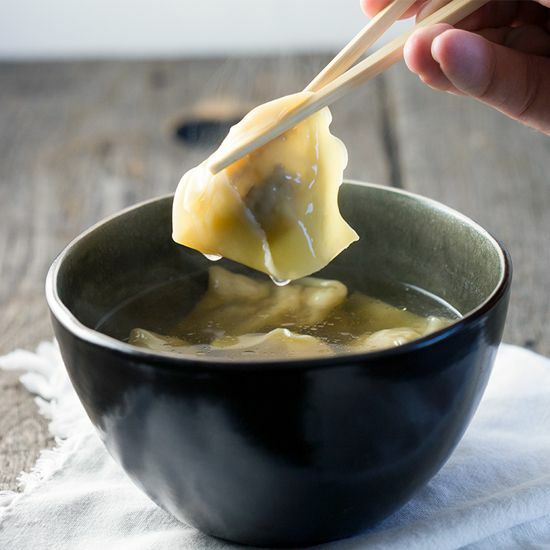 In the meantime, you can start with the wonton. COMBINE ground beef with grated ginger, onion and garlic. SEASON with soy sauce and that’s it. 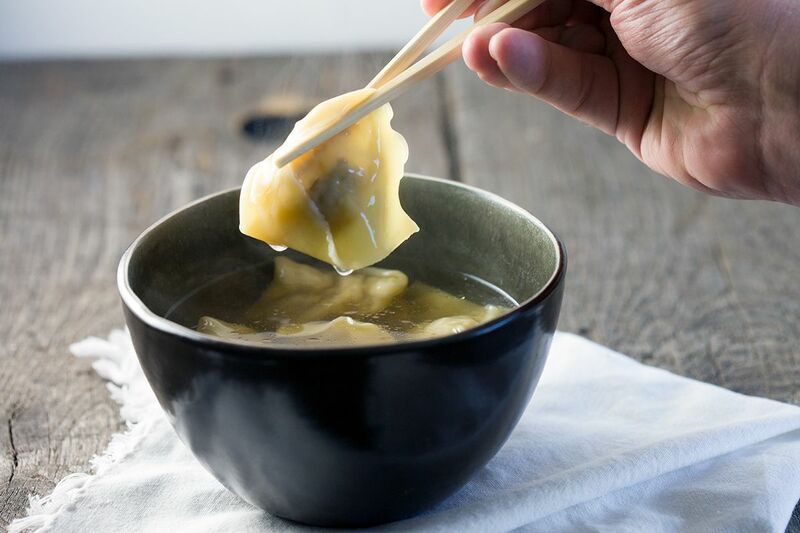 Folding the wonton isn’t hard; place a wrapper on your left hand, pointing down. PLACE a spoonful of filling at the bottom, use a bit of water to stick them together and close the wrapper so you’ll end up with a triangle. Use a bit of water on the tips and stick them inwards. REPEAT until all the wrappers and filling had been used. KEEP them on a plate with a damp kitchen towel on top. SIEVE the broth to get rid of the celery etc. The chicken can be used for a different kind of recipe if you like. Bring the broth back to a boil and SEASON with salt, rice wine vinegar and soy sauce. 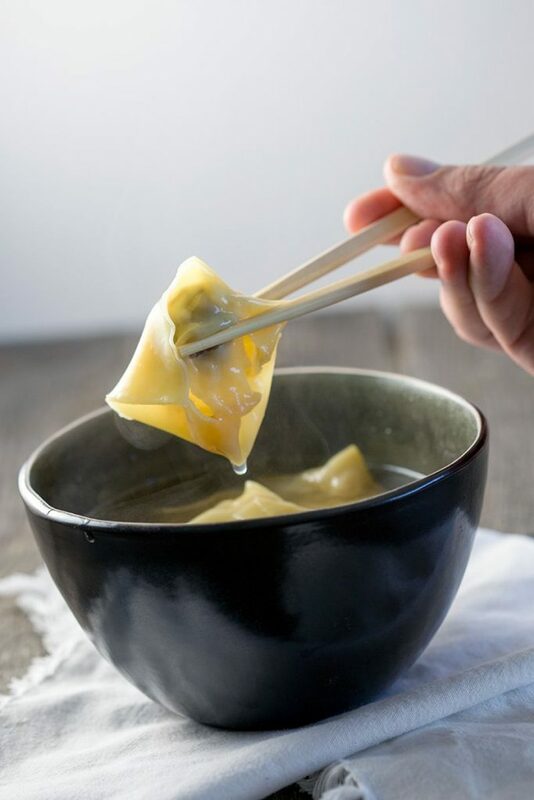 COOK the wonton for a few minutes and serve immediately. Enjoy!